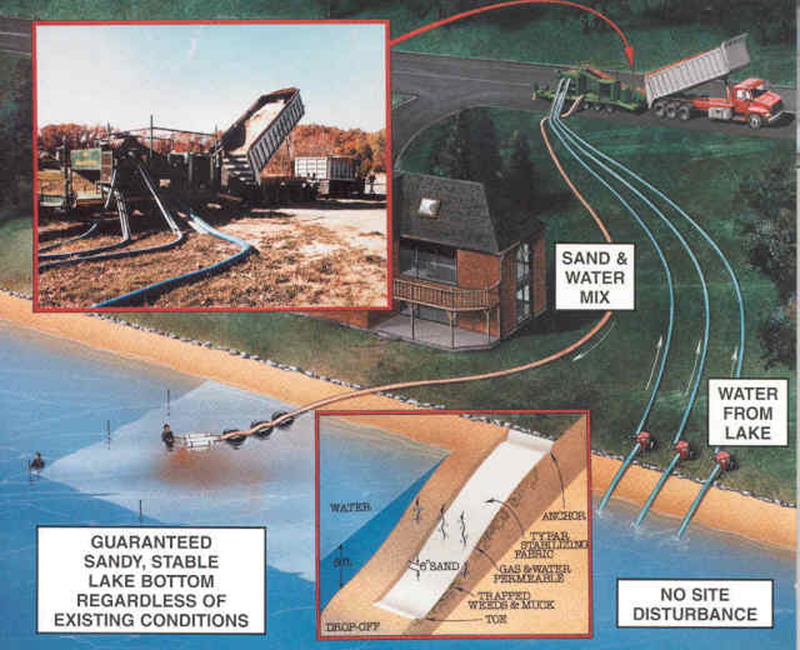 The Sand-Pro System is a one-of-a-kind proprietary machine specifically designed to create an instant beach by pumping sand via pipelines over TYPAR, a geo-textile fabric that is installed on an existing lake bottom. 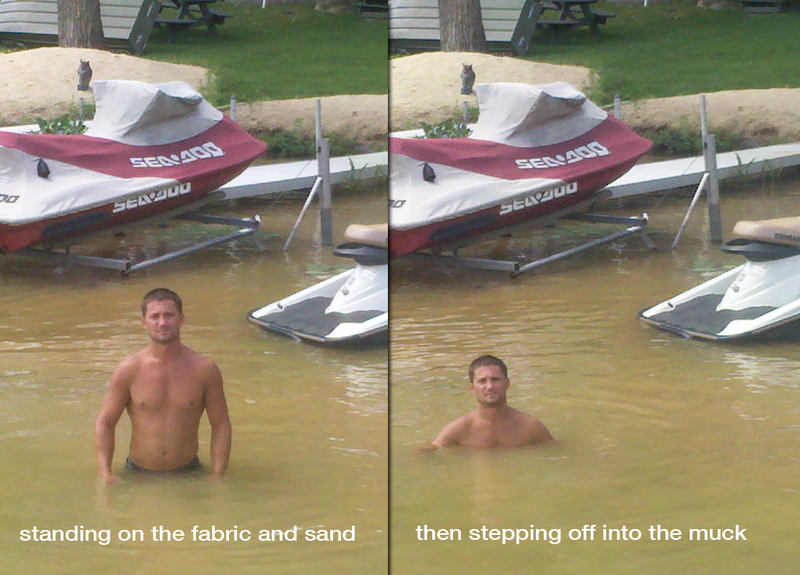 TTC, LLC absolutely guarantees your lake bottom to be a stable sand beach with no weeds at completion. This means that an area you could not walk through without sinking in the muck or swim because the weeds were so thick, will be a perfect swim area.